Here's the dilemma: you want to feed your family fresh, healthy, organic vegetables, but they're very expensive. You'd grow them yourself, but you have a very small yard and limited time. What's the budget and time-restricted, health-conscience resident with limited space to do? Grow those vegetables anyway! Yes, it's possible, even in a very small space with a limited amount of time to grow a good variety of vegetables. To achieve success under these restrictions, you just need to be willing to plan things out properly. Let's talk about how to do that. First of all, let me say this: even with a space of only 100 square feet (10 feet by 10 feet) you can grow enough vegetables for a steady supply of salad greens for a family. With that little space you'll need to be willing to work more diligently to swap out varieties when the growing seasons arrive, but you can (and should) do it even if that's all the space you have. With a space of 400 square feet (20 by 20) you'll have more than enough veggies for your family without a lot of plant swapping. How much sun does the spot get? Your plants will need at least 5 hours of direct sunlight each day. That means you'll want them facing south. So when you're picking out the place for your garden, pay attention to where the shadows of any trees, fences or other tall objects fall. An inexpensive sunlight calculator can be used to get an exact reading of how much sunlight any part of your yard gets. Where are the trees at? It's important that the roots of the trees in or near your yard not interfere with your garden. If possible, make sure your garden is at least ten feet away from the outer edge of the leaves of any tree (the "drip line"). If you're cutting it close you'll probably want to put a barrier of any inert heavy metal that roots can't penetrate around your garden. This will prevent root incursions. Where does the wind blow? If you're in a windy area you'll need to put up a barrier to block the wind from hitting the garden. A fence or an artificial ridge or embankment of earth will do just fine. How level is the ground? If it's sloped you'll need to create terraces for the garden beds. You need level beds to prevent uneven water distribution and erosion. You can build up the sides of the terraces with boards, wood slabs or even flat rocks. What will you plant next season? You'll want to leave an open space in your garden for use next season. Some of your plantings will need to be relocated there. After you've answered those five questions, it's time to prepare the soil. A successful garden is all about soil preparation. Get it right and your gardening life will be much, much easier. Get it wrong and you'll have a headache throughout the life of the garden. How many beds will you plant? Unless you're only going to grow one crop in your garden, you need to plan the layout of the beds. You want to have plants with similar requirements growing together and then rotate them each year. Rotation is essential for soil fertility and for mitigating the build-up of pests that can occur if you have the same plants growing in the same place year after year. How big will you make the beds? Length doesn't matter, but width does. You don't want beds to be wider than 4 feet because that makes it very difficult to weed the beds (unless you happen to be 7 feet tall). Having a drawing of exactly how the beds will be laid out is a very good idea. How deep will the beds be? This will require a little research on your part, because different crops require different soil depth. If you want to save your back, make the beds raised so they're easier for you to access. It takes more work in the beginning but will save you a lot of pain in the long run! Raised beds or in-ground beds? 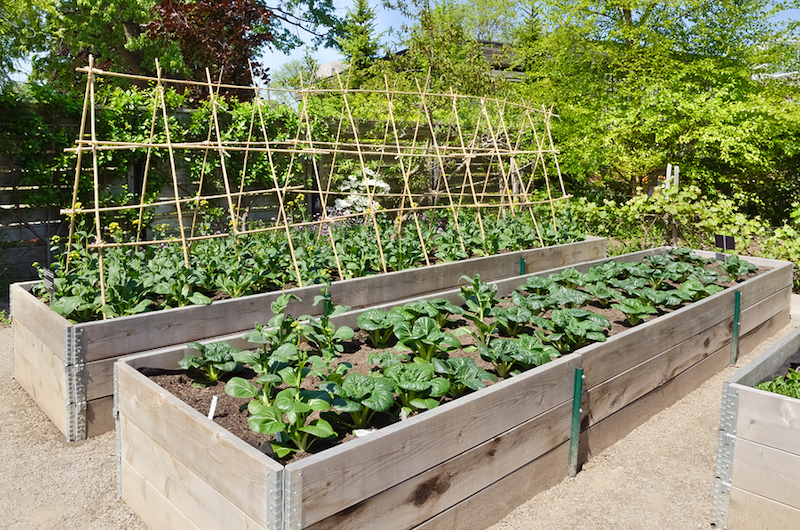 In addition to saving your back, raised beds are better in colder climates because the soil warms up faster. This lets you plant your crops sooner. But if you live in a hot climate, in-ground beds won't require as much water. So it's a balancing act. 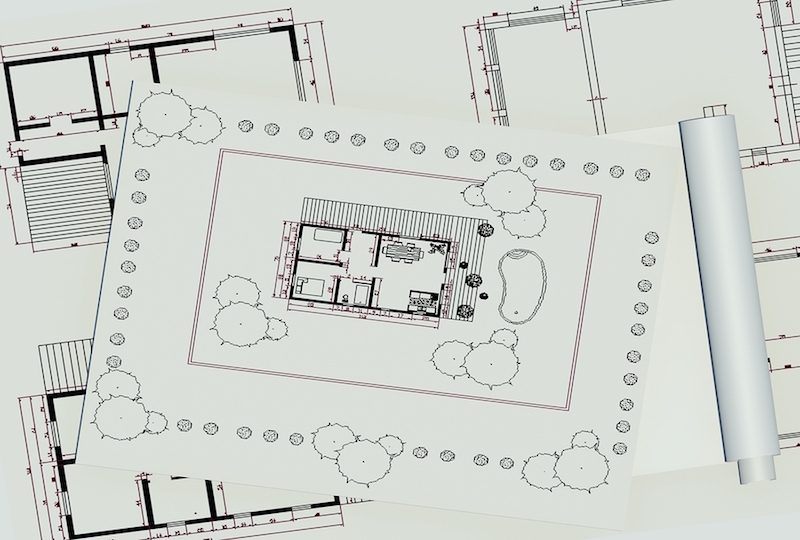 One tip to keep in mind is that you should have the pathways between beds be at least 21 inches wide. That's wide enough to allow you to push a wheelbarrow through without causing any damage. If you can afford 24 inches of space, that's ideal, but 21 inches is a minimum. If you've never had a garden in the soil, then your vegetables are likely to do very well their first year. That's because the nutrients haven't been used up and are readily available to the plants. The second year and after, though, you'll need to do some work to make sure the soil is in good shape for the plantings during that year. Determine the pH of the soil. You can use a soil test kit for this. If the soil is acidic, you can correct for that by adding lime. If it's alkaline you'll need to add rich organic matter and gardener's sulfur as well as mulching with acidic materials like pine straw. 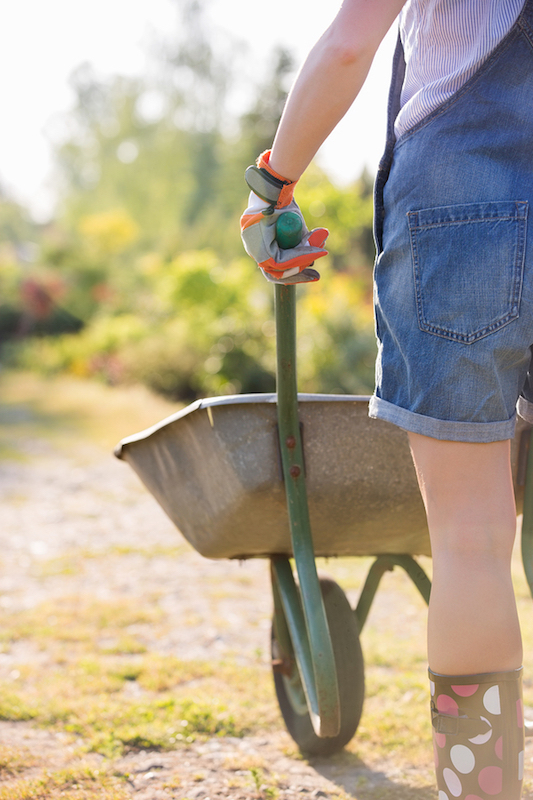 If this is a new garden, you'll want to dig down at least a foot (preferably a foot and a half) and turn the soil over, removing any rocks or roots. A pitchfork makes this job much easier than a shovel, so use one if you have one (or can borrow or buy one). It may sound contradictory, but the soil should actually be dry before you start planting. 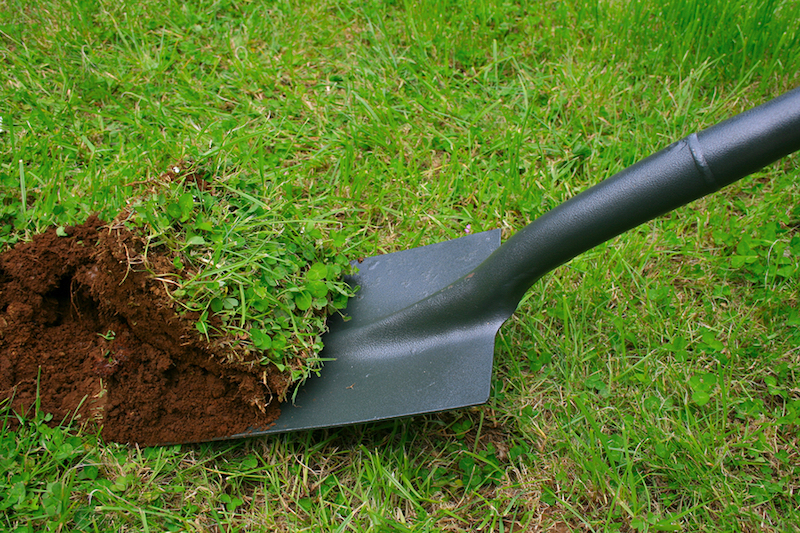 If it's sticking to your shoes or boots you'll need to dig a draining trench to get rid of some of that moisture. The more organic matter you can add to your soil, the better. 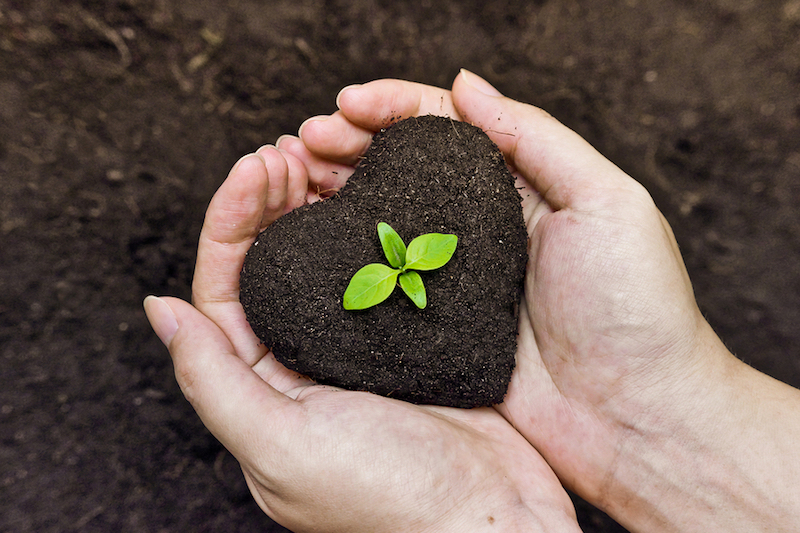 Compost and manure can provide a wealth of nutrients that will help your plantings thrive. Try not to step on the finished beds! Once the beds have been completed, avoid stepping on them. Stepping on the beds can compress the soil and will cause problems with aeration. If that seems like it will take a lot of time (and one of the requirements was that this wouldn't take a lot of time), don't fret. You can prepare the garden in stages. You don't have to do it all at once. You can "weekend warrior" the stages when you first start your garden. The good news is that most of that preparation only has to be done one time. Once everything is in place you can add nutrients by adding the fresh fertile soil on top of the existing beds -- about a half inch of new soil per year should do. The deep digging and heavy lifting only has to be done when initially laying out the beds. 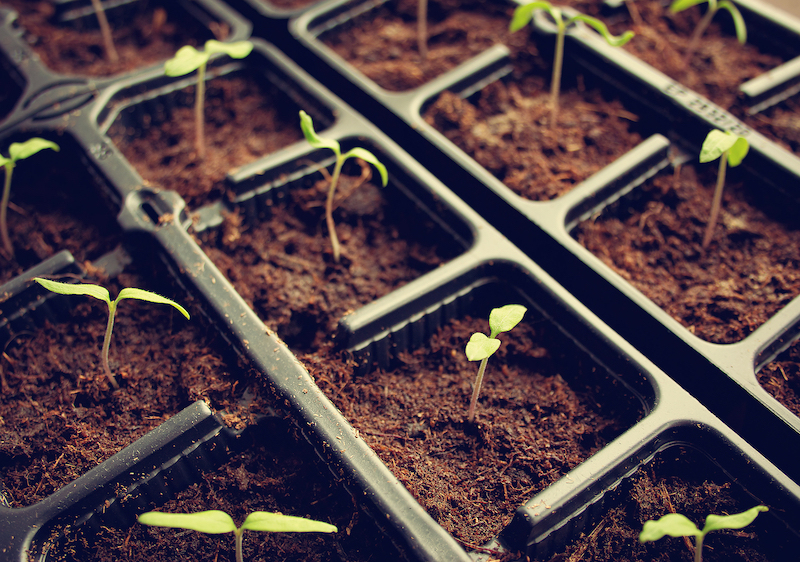 If you have a little bit of extra money, you can plant seedlings instead of starting off the beds from seeds. This will save you some time and get your first yield faster, but of course will be more expensive than just buying and planting seeds. It's also a good way to start if you're new to gardening and are concerned that you may not get that first planting just right. Above all else, make sure you provide as much organic matter as possible. The richer the soil, the easier it is to grow whatever it is you want to grow with minimal intervention on your part. Plants grown in rich soil have a stronger resistance to pests and diseases, grow faster and will block out weeds so they become less of a nuisance over time. Whether you have a big yard and only want to allocate a small space to your garden, or whether your yard size is limited and your time is, too, you can have a thriving vegetable garden that provides your family with healthy, organic food most months of the year -- and at a much lower cost than buying from expensive organic grocery stores. Jonathan Leger is a gardening enthusiast. He runs a small site dedicated to the education, history, and care of a variety of roses at CabbageRoses.net.